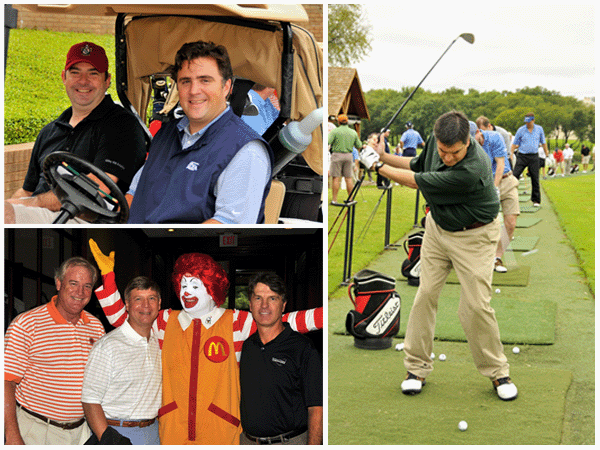 Join the Addison Rotary Foundation for the 26th anniversary of the Addison Rotary Open Golf Tournament presented by GLM DFW, Inc., and benefiting the Ronald McDonald House of Dallas. This four-man team scramble is fun for all participants and includes holes along the course designated for awards such as luxury automobiles, travel packages and cash. Our shotgun start tournament tees off at 12:30 p.m. Once you’ve completed 18 holes, you can relax amid the fun and excitement of our After Tournament Party at the Gleneagles Clubhouse. Dinner and beverages will accompany the raffle, auction, and the presentation of prizes and awards.